It has been only a few months since we last posted about the kosher wines at Trader Joe’s. The Banero is still only available on the east coast, but it remains in stock there. The Sara Bee is also back in stock on the east and west coasts, and doing really well. The prices have now stabilized, even though Moscato is going crazy in the wine world. Sara Bee continues to taste as wonderful as always, but I cannot get the Banero Prosecco here on the west coast 😦 There are now two new Terrenal wines; one from Chile and one from Argentina that are both mevushal. I say this because the Spanish wines from February are not mevushal. The two new Terrenal wines continue the tradition of good kosher wine, for a reasonable price. 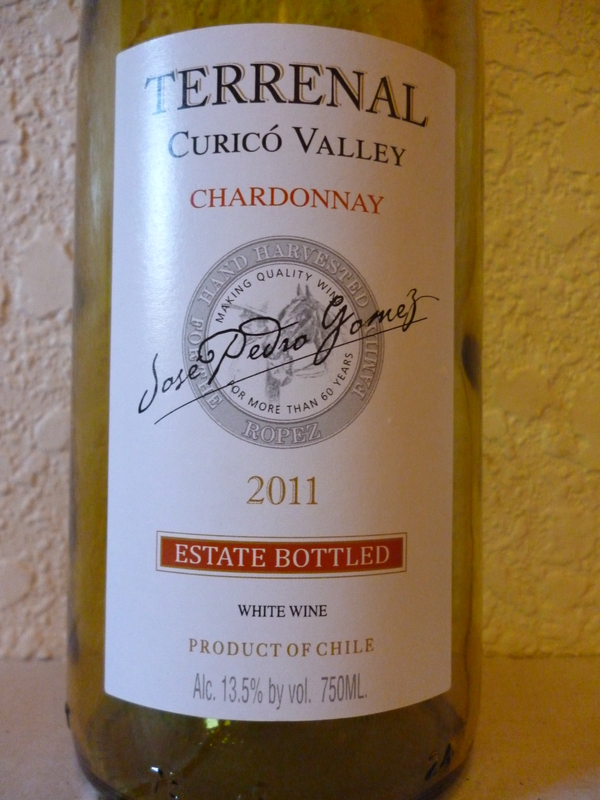 This wine is a lovely expression of unoaked Chardonnay and one that I am happy to buy often. Sure the price is also right (4.99 a pop), but price has ZERO bearings on how I score a wine. The nose screams with lemon fresche, apricot, guava, with ripe and almost sweet fruit. The mouth is really nice with sweet lemon, fig, Asian pear, apple, along with lovely and almost mouth-coating mouth. The finish is long with melon, good balanced acidity, a bit of sweet citrus zest (without the pith), along with a bit of vanilla and floral notes to close out the party. This wine is nice with a unique initial attack of butterscotch, along with blackcurrant, plum, and crushed herb. The mouth is soft and rich with a bit of raisin and blackberry, along with nicely integrated tannin. The finish is long and spicy along with good acidity, inky structure, sweet black cherry, spice, and vanilla on the rise. The nose on this dark garnet colored wine is rich and vibrant with black cherry, an almost perfumed nose of blackberry, and raspberry, along with black currant, rich earth, and herb. The mouth on this medium bodied wine is a nice quaffer with enough complexity to grab your attention, with spicy fruit, almost mouth coating tannin, rich earth, and an overall mouth feel that is nothing short of quite nice. The wine’s core acidity really elevates it and the richness and spice of the finish goes a long way to making you rethink entry-level wines. I could care less what this wine costs, this is a fine wine that if tasted blind would make you do a double take, and in the end, it is quite enjoyable. The nose on this dark garnet colored wine is rich and vibrant with black cherry, strawberry, an almost perfumed nose of blackcurrant, and raspberry, earthy aromas, herb, and spice. The mouth on this medium bodied wine is a nice quaffer with enough complexity to grab your attention, with spicy fruit, nice round tannin, rich earth, and an overall mouth feel that spicy and enjoyable. The wine’s core acidity really elevates it and the round mouthed tannin, along with nice spice add to the cherry focused wine that adds a dollop of herb and vanilla on the long finish. I could care less what this wine costs, this is a fine wine that if tasted blind would make you do a double take, and in the end, it is quite enjoyable. The nose on this effervescent light gold colored wine starts off with a powerful hit of honey and a touch of yeast. After a small bit of time, the wine explodes with summer and tropical fruits, peach, apricot, mango, pear, lychee, and papaya. This wine has a wonderful effervescence and fruity nose. The mouth on this medium plus bodied wine is lovely with nice effervescence, sweet honey, papaya, lychee, and pear. The mid palate is balanced nicely with acid and light toast, and effervescence. The finish is long and tasty with papaya, honey, and caramel, with the honey and caramel lingering long on the palate. This is a more balanced, fuller, effervescent wine than the usual kosher blue-bottle Bartenura Moscato. Nothing against the Bartenura Moscato, but it does not compare and it is at least double to triple the price of this wonderful wine. Get a bottle or two and try it out. The Sara Bee Moscato is available at Trader Joe. Finally, as usual my score NEVER includes the price. This wine is scored what it is scored solely on its merit – irrelevant to its price, availability, or its kosher status. The nose on this straw-colored Prosecco is screaming with a lovely bubble fest, along with a nice muscat nose, perfume, orange rind, yeast, toast, and honey. The mouth on this rich medium bodied wine starts off with a hit of bitterness, apple, honey, prolonged small mousse bubbles, and toast. The mid palate is core with acidity, toast, and drop of yeast, and orange peel. The finish is long and mousse-y with honey, slight bitterness, and toast. This is a wine that has a bit of beer bitterness at the start, which fades a bit, but lingers with a nice balance of perceived sweetness from the honey notes. The mouth is rich with small mousse bubbles that lie on your palate for a very long time, long after the wine is gone. Posted on May 1, 2012, in Kosher Red Wine, Kosher White Wine, Kosher Wine, Wine and tagged Banero, Cabernet Sauvignon, Chardonnay, Malbec, Moscato, Prosecco, Sara Bee, Tempranillo, Terrenal. Bookmark the permalink. 7 Comments. That would be awesome and I would be happy to go around with you! I am a big fan of the Spanish Terrenals. They are truly a bargain at less than $4. The Sara Bee is also fantastic. I actually like it better than the “blue bottle.” The Chardonnay is much improved. 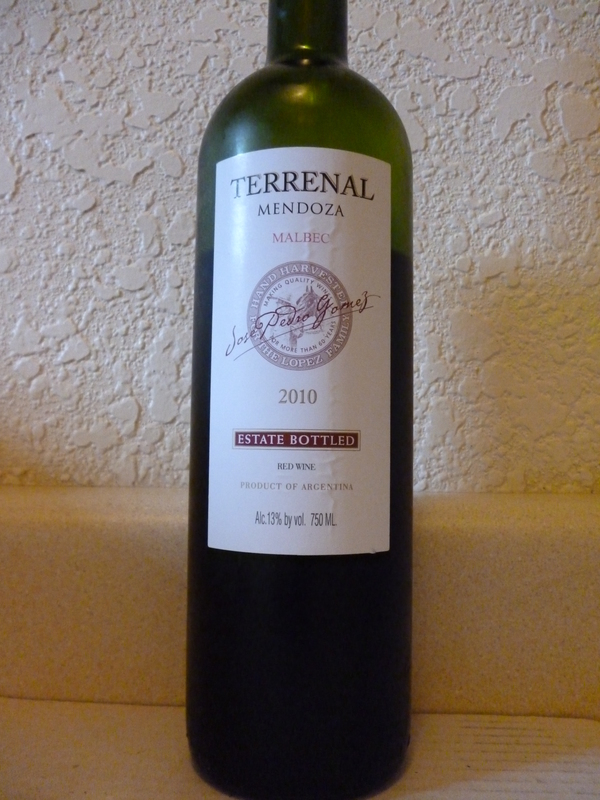 I have not tried the Malbec yet, but it is clear to me that these wines are well worth the money.